“The Conspirators of Pleasure” not only seek to bend all the rules and question the sacred but they also explore variants of raga structures from which they create extraordinary soundscape performances. 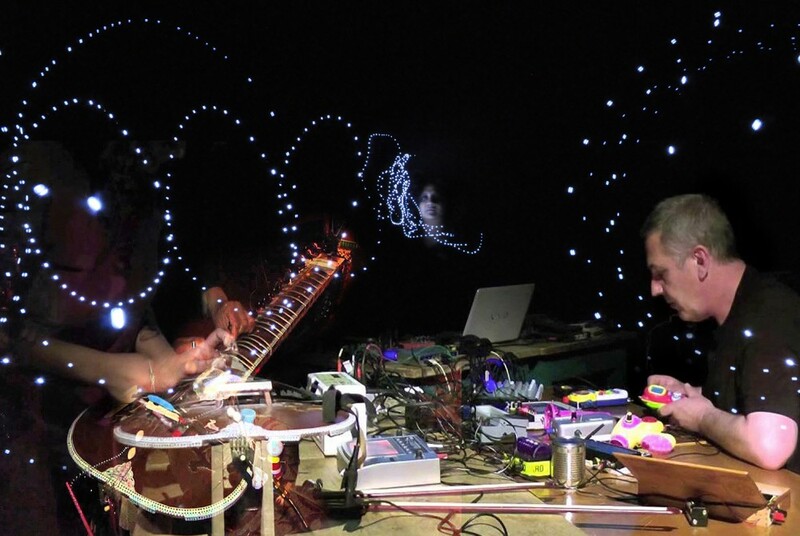 They use self-regulating sonic systems using modified and prepared instruments including a prepared sitar. Their compositions explore experimental terrains, twisting technology to transform organic sounds into eerie calls that flow from intense waves of abrasive, noisy, chaos invoking industrial nostalgia, to structured pulsating rhythms, to melancholic, metaphysical drones. Here they explore note scales that are usually associated to ragas. Could they be creating a new raga?